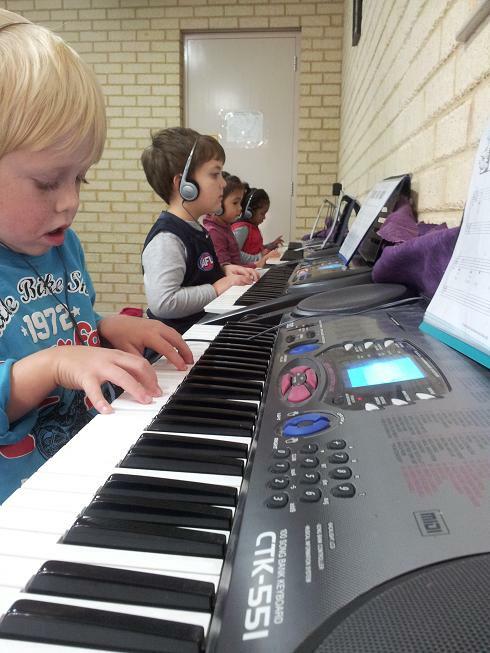 So much fun they will never suspect they're learning to read and play music. 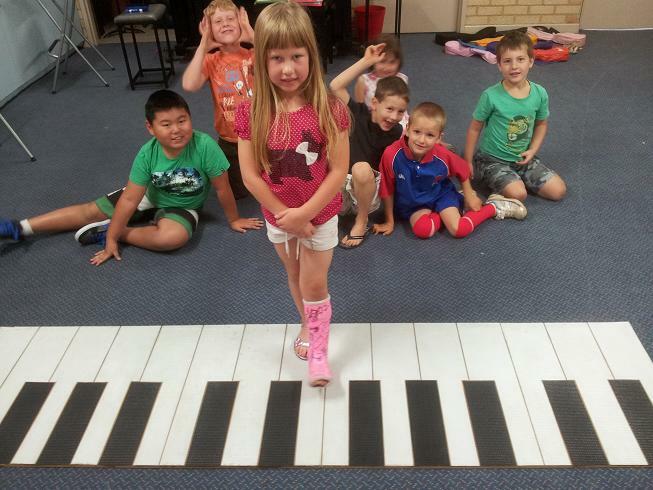 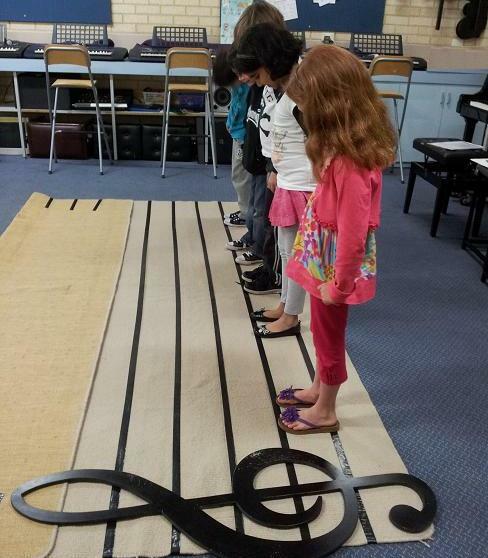 Music theory is introduced and developed through movement and a wide variety of activities, including a GIANT music stave and keyboard to jump on, all this in the aid of making music – learning fun! 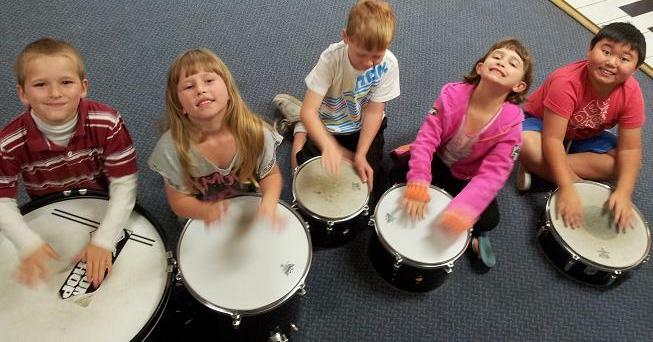 Children have the opportunity to perform in recitals, which are held at the end of each semester, our recitals are traditionally known to be friendly, encouraging, warm and fuzzy and the children especially look forward to this event, these performances are very important to your child’s confidence, self-esteem and musical development.